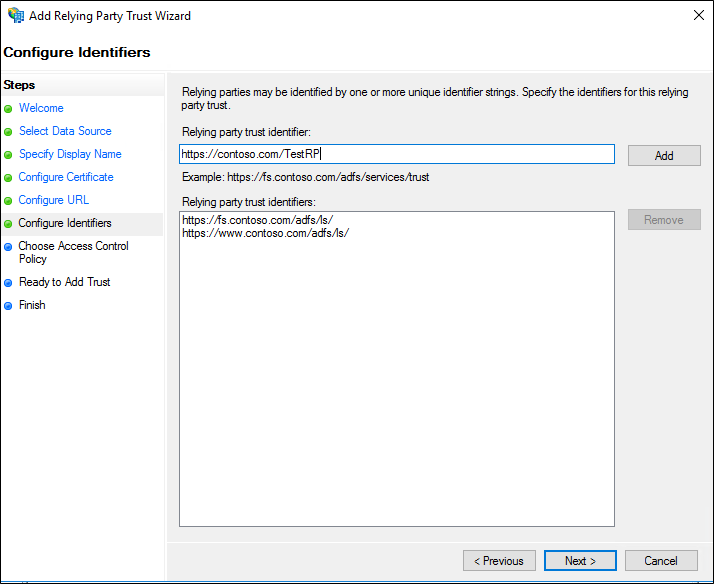 The following document provides information on creating a relying party trust manually and using federation metadata. 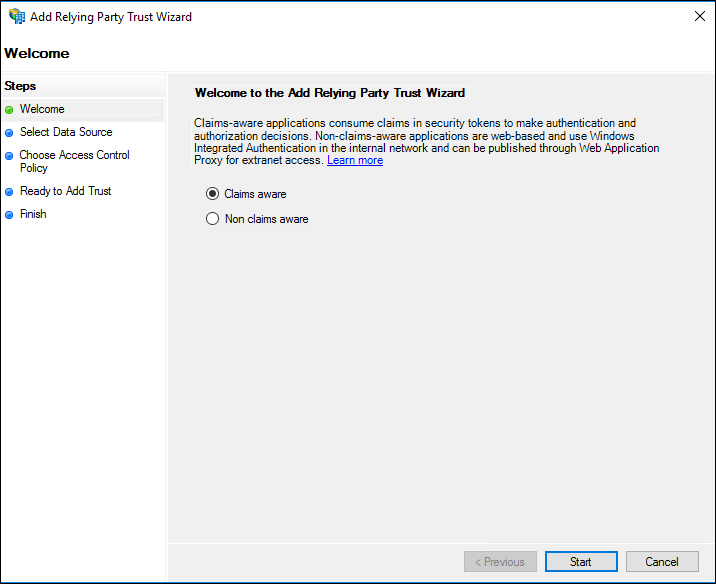 Under Actions, click Add Relying Party Trust. On the Welcome page, choose Claims aware and click Start. 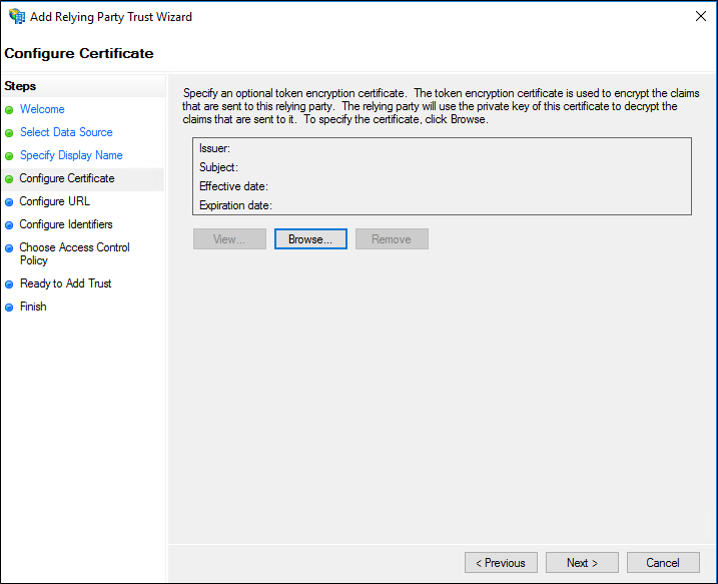 On the Configure Certificate page, if you have an optional token encryption certificate, click Browse to locate a certificate file, and then click Next. 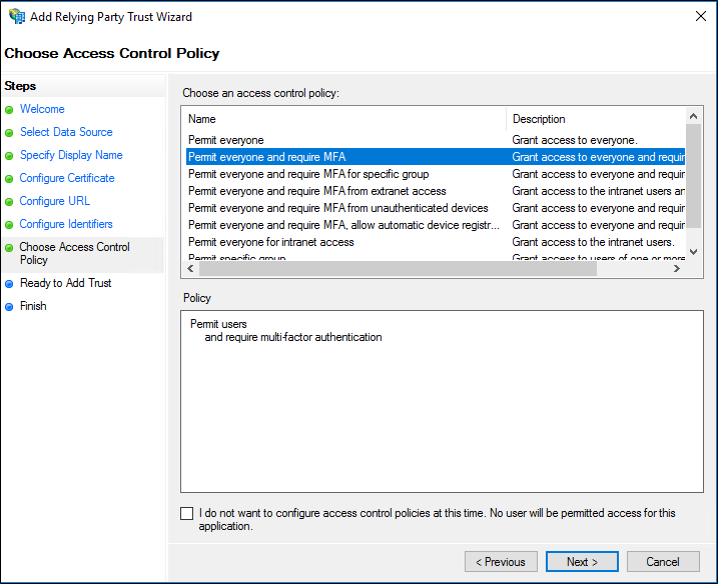 On the Choose Access Control Policy select a policy and click Next. 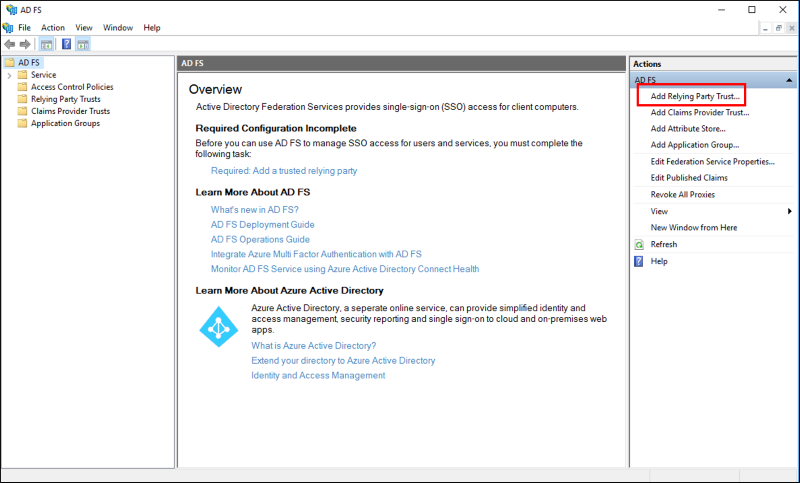 For more information about Access Control Policies, see Access Control Policies in AD FS. 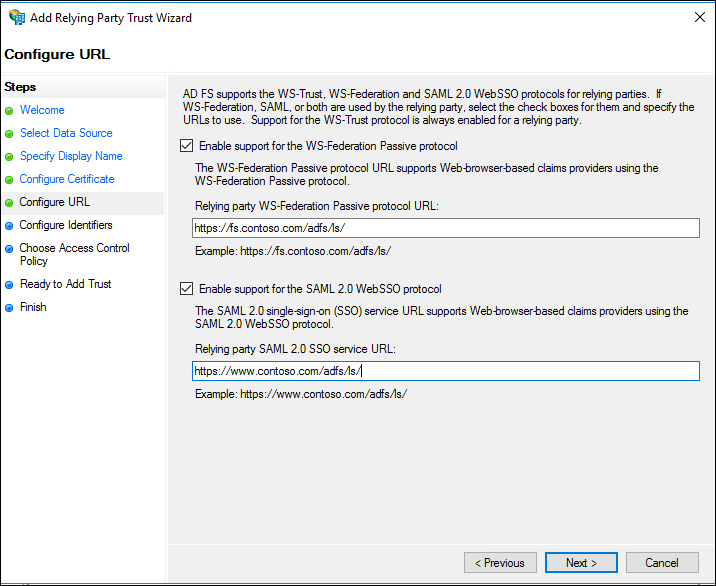 To add a new relying party trust, using the AD FS Management snap-in, by automatically importing configuration data about the partner from federation metadata that the partner published to a local network or to the Internet, perform the following procedure on a federation server in the account partner organization. Though it has long been common practice to use certificates with unqualified host names such as https://myserver, these certificates have no security value and can enable an attacker to impersonate a Federation Service that is publishing federation metadata. Therefore, when querying federation metadata, you should only use a fully qualified domain name such as https://myserver.contoso.com. On the Select Data Source page, click Import data about the relying party published online or on a local network*. In **Federation metadata address (host name or URL), type the federation metadata URL or host name for the partner, and then click Next. 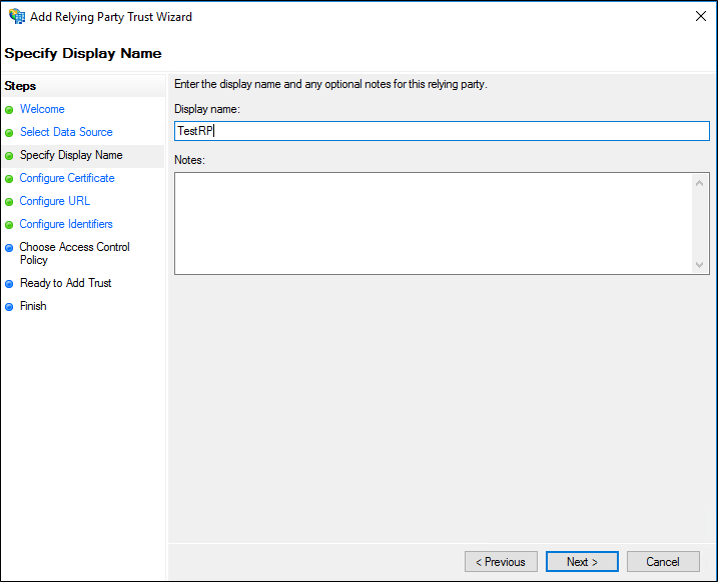 On the Specify Display Name page type a name in Display name, under Notes type a description for this relying party trust, and then click Next. On the Finish page, click Close. 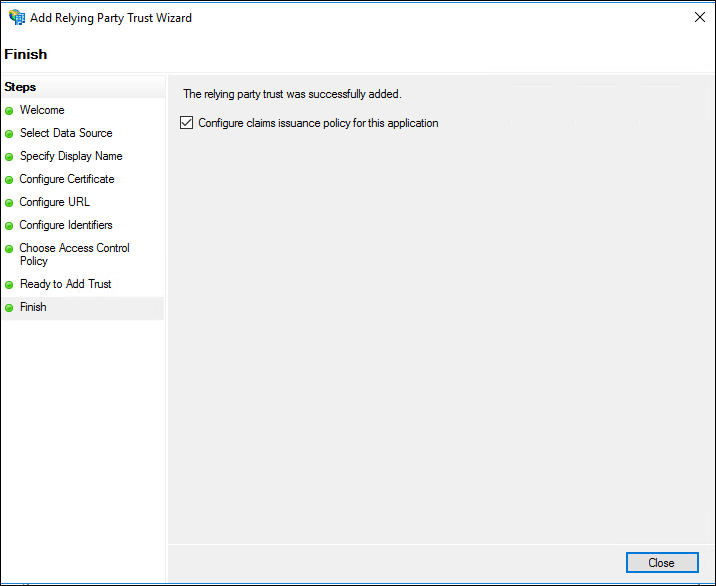 This action automatically displays the Edit Claim Rules dialog box. For more information about how to proceed with adding claim rules for this relying party trust, see the Additional references.